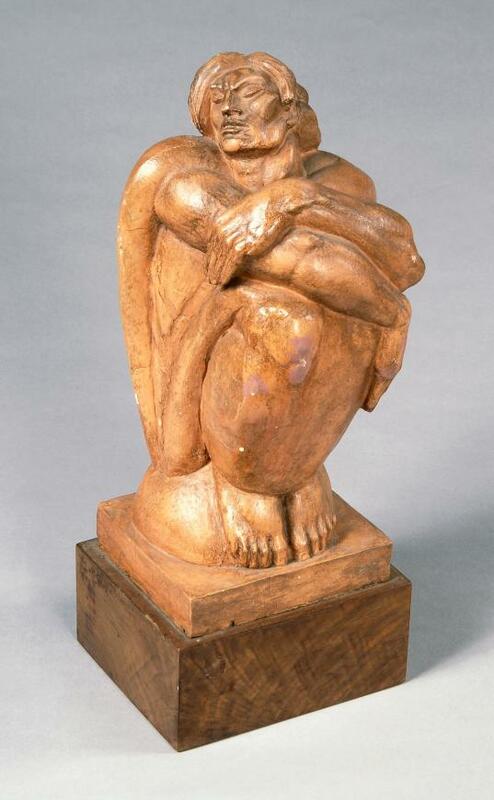 Crouched Man is an intriguing work done during Wein’s WPA period when he also executed a number of religious theme works. It is a singular work by Wein which can be compared to Rodin’s Thinker or Age of Bronze. Less about style, it is a piece that examines man and the core and essence of who he is. In a crouched position we see a vulnerable, but proud figure of a man without artifice. Wein’s vision of “man” in his sculpture is usually one of elevation, respect and celebration. This work was never cast in bronze; it is a unique piece.